With the return of fighting classics like Mortal Kombat and Street Fighter, Bandai Namco had to give its fans the one thing they’ve been waiting on for so long. 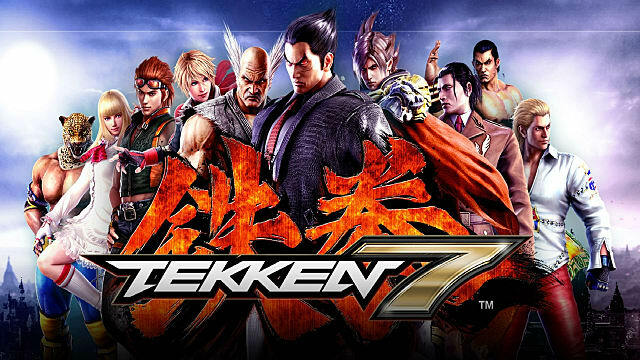 It took seven whole years for Namco to finally release the next Tekken game in the main series, and the launch date is fast approaching -- Tekken 7 is scheduled to hit shelves on June 2, 2017. The much anticipated sequel introduces new fighting mechanics, lots of new and old characters, and concludes the story of the Mishima clan with a blast. The game's producers announced that Tekken 7 will be darker than ever before, and will be augmented by a couple more expansions. Does Tekken 7 have the power to take back its status as the world’s best fighting game this year? By the looks of it so far, there is definitely a chance. Tekken has always been an excellent fighting game, but it never really had a solid storytelling element. 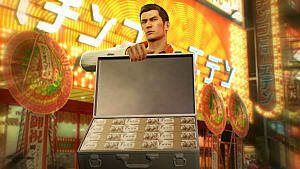 In the previous parts of the series, all story points were presented in a sequence of short cutscenes that appeared between the fights. 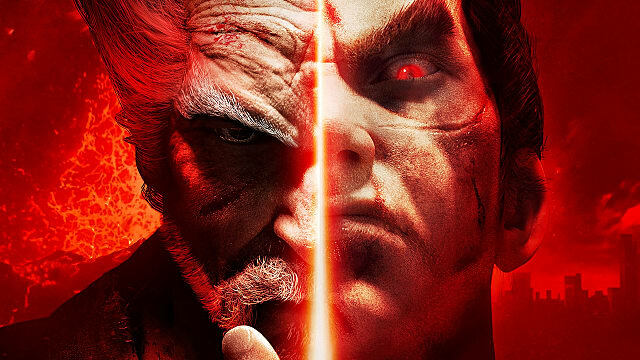 In Tekken 7 you can expect to see a complete storyline that will take up to 10 hours to finish. It will answer many questions from the past games, and will mostly focus on the conflict between the members of the Mishima clan. The story mode follows the similar pattern as the one in Mortal Kombat X, where you can’t choose the characters to fight with, but you have to play with the ones offered by the plot sequence. 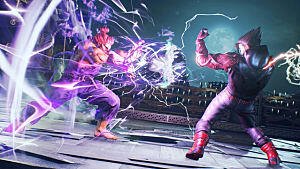 This mode is recommended for new players, as they will learn a lot about the lore of the Tekken series, and practice their fighting skills beginning from the very basics. If you don’t care about the story, and you just want to try out all the new combat mechanics, then you can start off with the arcade mode or go online and fight other players from around the world. In this regard, Tekken stands out from other fighting games in that you can’t just smash random buttons and win -- you actually need to know how to fight well. The most interesting type of mechanic introduced in Tekken 7 is Rage Arts, which utilizes the Rage System from Tekken 6. 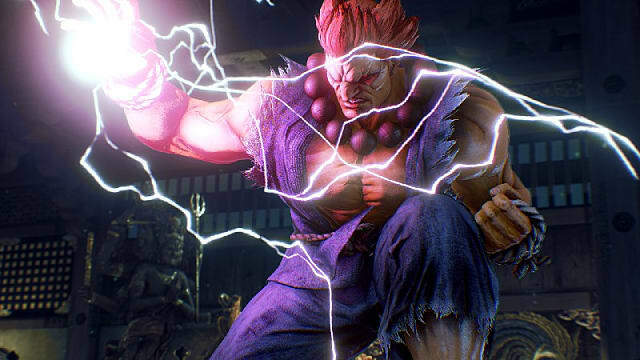 Rage can be activated on its own or during a combo, but only when the character’s health drops below the 10% mark. This is an especially interesting technique, since it can change the pace and the result of the match-up. The competitive scene will definitely be happy to learn all the possible Rage Arts in the game, as they can single-handedly win tournaments if used properly. If you think that using Rage Arts is cheating, then don’t worry, as there is a way to block even such a powerful blow -- simply by sidestepping and ducking. However, you must be highly reactive, since there won’t be too much time to execute even a simple blocking move. This new type of move may even be more broken than the Rage Arts, as it allows players to keep damaging their opponents even when they are in the middle of their own combo. 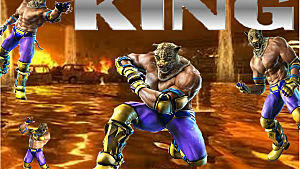 However, you will still take damage from your opponent, and you are still vulnerable to lows and overthrows. Basically, Power Crush will allow the players to finish off their opponents even when they are Raging, which wasn’t possible in the previous games of the series. 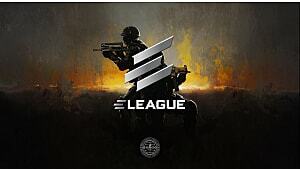 It’s a dangerous precedent and will most likely make many players rage for real. Screw, also known as “tailspin”, is a new combo extender that replaces Bound in Tekken 7. It allows players to send opponents in midair into a full rotation frenzy til they land on their backs. 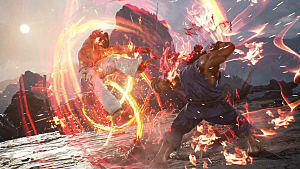 This elegant move breaks walls and keeps dealing damage, while completely disrupting the opponent’s flow of attack. With these new mechanics Tekken 7 offers a fresh look at the older characters -- and makes you want to try out all the new characters, too. Akuma -- guest character from Street Fighter universe. 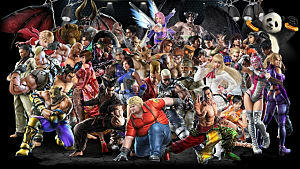 Most of the characters in Tekken 7 are well-known returning characters from the previous games in the series -- such as Bryan, Yoshimitsu, and many others. But in addition to the 27 old characters on the roster, we get 10 new ones. And the most interesting one is Akuma -- a guest character from Street Fighter universe. 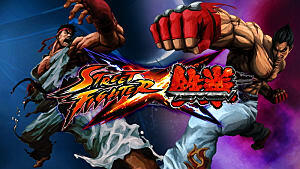 You could see the concept of merging two different worlds in the same game before in Street Fighter X Tekken. But this is the first time in history that we'll see a guest character appear in a main title of the series. There will also be two more guest characters coming with planned DLC packages sometime in the future. Among the rest of the new characters, the most interesting ones are: Gigas (red male behemoth creature), Kazumi (Japanese empress), and Raven (the game's first black woman fighter). All the characters have their own unique styles of fighting and Rage Arts, so Namco really hit the bull’s eye this time around. 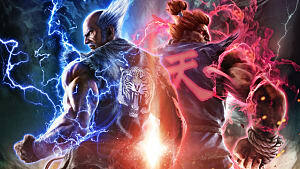 Tekken 7 is packing excellent graphics, a full roster of interesting characters both old and new, a fleshed-out story mode, and a brand new take on the fighting genre with Rage Arts and other interesting abilities. There's a lot more innovation happening here than we've seen in recent fighting games, which puts this main series Tekken entry a cut above the rest. And I'm willing to bet that it's not just going to be the best fighting game of this year -- but the best one we've seen in years as well. 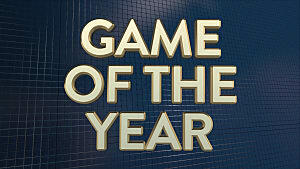 Do you agree that Tekken 7 will take the title of the best fighting game of the year? Share your thoughts in the comments below!